• PLOT SUMMARY: Discover how Jonah Hex's rough family life transformed him into the justice-thirsty vigilante he became. Legendary Hex artist Tony DeZuniga returns to illustrate a new, archetypal epic written by the acclaimed HEX team of Jimmy Palmiotti and Justin Gray. 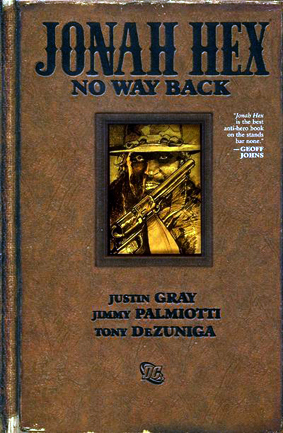 This heartbreaking, brutal original graphic novel is set against the unforgiving landscape of the Wild West and delves into Hex's painful past, revealing for the first time how his difficult upbringing made him that era's most feared bounty hunter. Along the way, Hex must come to terms with the death of a loved one, long thought lost, battle El Papagayo and his gang of bandits, and attempt to make peace with his own past. Written by JUSTIN GRAY and JIMMY PALMIOTTI. Art and cover by TONY DEZUNIGA. Hardcover, 136 pages, full oclor.